Choosing to stay in private accommodation such as a house or apartment for the big weekend is becoming a popular option amongst stag groups these days. Unlike hotels, you get more space to lounge around in, keep the whole pack together and what’s more, you can enjoy a lie in without the threat of the hotel maid bursting in! 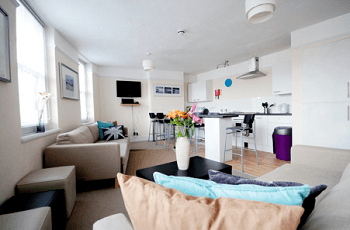 This week, we’re taking a focus on the Brighton Stag house that we offer for rental, in addition to activity and nightlife choices, so if you’ve decided to venture to the quirky seaside city of Brighton for the weekend, then read on to discover more about this laid back accommodation option so you and the guys can really enjoy a memorable stag do! Situated in the Elm Grove area of Brighton, this stag house is a true home from home and features everything you and the rest of the guys need to have a brilliant and memorable stag do in this popular seaside stag destination. It’s a particularly good choice if you’ve got a large group of stags, as it accommodates up to 26 across the upper and lower parts of the house. There's five bedrooms to choose from, so you’ll all be able to stay together and keep the banter rolling! 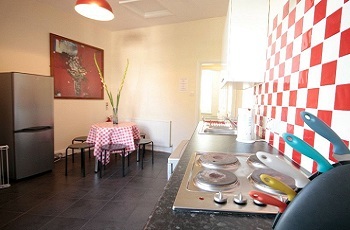 If you fancy making snacks whenever you like, then you’ll be able to do that in the well equipped kitchens which feature an oven, hobs and microwave – if you feel up to it, you and the guys could get stuck into a massive cooking session for dinner, so you’ll save money on eating out and have more money left for beer! After dinner, head to the lounge area where you and the guys can relax with a few beers as you watch the flat screen TV complete with Freeview channels, or chuck a film on in the DVD Player. You’ll also find an Ipod docking station in addition to complimentary WiFi, so you’ll be able to update Facebook with your hilarious stag weekend antics! 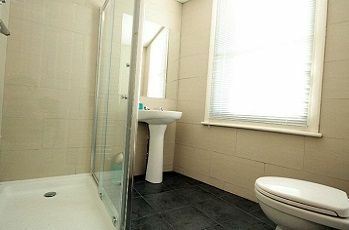 The property also boasts three bright bathrooms in addition to a shower room, so you and the guys won’t be queuing for ages to get all spuced up for the big night out! All towels and linen is provided for your stay too, so that’s one less thing to worry about. As for location, you’ll be situated above a friendly pub called The Admiral, which features a great drinks menu, so you really won’t have to go too far to consume your first pint of the trip! You’re also just a short walk away from the lively party hub of Brighton city centre, so you really couldn’t be better placed for the stag weekend! During your trip to Brighton, it’s definitely worthwhile checking out the sights such as the iconic Brighton Pier and beach, but there’s also plenty of great stag activities that you can involved with during your stay here. 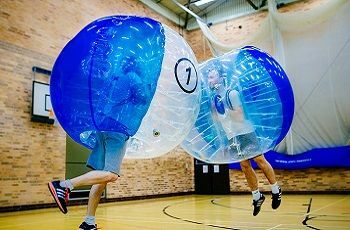 Personally, we love a bit of bubble football for a stag do in Brighton; I mean, what’s not to love? You and the rest of the guys will slide into giant inflatable spheres which go down to your knees, and you’ll get to partake in a whole variety of games where you can run around crashing into your teammates and roll about on the floor. You’ll also be provided with a great host who is full to the brim with some great banter, and will really ensure that you all have a great time! Or there’s always the stag classic paintballing, where you can enjoy some truly heart pumping and adrenaline packed games such as Capture the Flag and Seek and Destroy. You’ll head to a 50-acre woodland site located just on the outskirts of Brighton, where you’ll find a crashed war plane, which will become the focus of your shooting games. So take aim, fire and prepare to run for your life! The city is simply a dream for a big night out for Brighton stag parties – the city is so vast with its exceptional choice of nightlife, that you really will be spoiled for choice. The city is divided into various areas, so depending on what you’re after for the night, you may be suited best to a specific area. If you like quirky and want to enjoy a few craft beers, then we suggest heading to the famous lanes, which is packed with pubs that reflect the more chilled and relaxed vibe to Brighton. Of course if you’re looking for bars with pumping music and massive clubs, then the West Street area may be more for you. Here, you’ll find a whole caboodle of great bars, although we must say that one of our favourite spots to hit up is Revolution; there’s a massive drinks menu feauturing some awesome cocktails that are served in a variety of glasses (we like the Absolute Soup, which is served in an Andy Warhol inspired tin can!). It’s also the perfect place to party and demonstrate your incredible dance moves to the rest of the bar, and it also boasts Brighton’s biggest outside drinking area, which is perfect for those warm summer evenings! After this, head to Pryzm nightclub, also situated on West Street, which features a selection of cool themed rooms for you to continue the drinking and partying! You’ll also find a bunch of buzzing bars and nightclubs along the beachfront, with something to suit everyone’s music tastes. 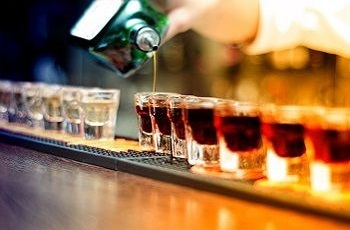 If you really can’t decide, then why not take advantage of one of the guided bar crawls that we offer around the city? It’s a popular choice with stag groups, and you’ll discover some of the best bars that Brighton has to offer, so you’ll be able to spend less time deciding where to go and more time downing brightly coloured shots. If you fancy booking the stag house, or any of the mentioned activities, then give one of our friendly party planners a call today who will be able to assist you with any stag do enquiries you may have.